The Tampa Bay Lightning had an excellent regular season and postseason last year, ultimately losing to Chicago in six games in the Stanley Cup. There is no reason to expect that Tampa Bay will not be one of the best teams in the Eastern Conference and in the entire NHL in the 2015-2016 season. General manager Steve Yzerman made very few offseason changes, but that’s because the team is overflowing with young talent. This team is so stacked that at one point last season, Cedric Paquette, filling in for the injured Alex Killorn, was scratched despite scoring four goals in the previous four games. Most of the team has returned for the 2015-2016 season. The Lightning acquired Braydon Coburn from the Flyers at the trade deadline last year, and he is in the final year of his contract. Coburn is currently part of the third pairing for the Lightning, compared to being expected to play as a top-two defenseman in Philadelphia; his skating will fit in perfectly with the up-tempo Lightning squad. The team has also added Erik Condra to the mix to replace Brendan Morrow’s physical play. The biggest change in the lineup is that former third-overall pick Jonathan Drouin will be a mainstay in the top six; he is currently playing on the “top” line with Steven Stamkos and Ryan Callahan, and has four points in four games so far this season (1 goal, 3 assists). 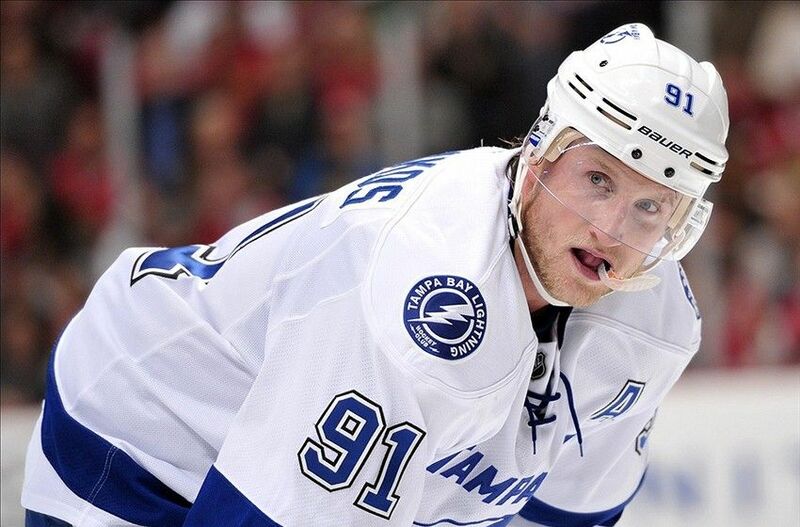 Steven Stamkos has one year left on his 5-year $37.5 million deal. 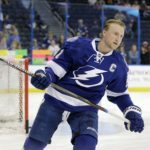 Since Stamkos is one of the absolute best players in the NHL, he is due for a significant pay raise, possibly in the $10-$12 million range. This is not really a significant “move,” but it has definitely been one of the main storylines coming out of Tampa during the offseason and preseason. Now that the regular season has started, talks have cooled down a bit. However, the 25-year-old superstar is technically headed for free agency, which is very significant. If this were any other team there would be no question about whether Tampa Bay would be willing to pay up. However, since Tampa Bay has drafted so well and has so many young, talented players who will need new contracts soon, there is actually some discussion. The Triplets Line, consisting of Ondrej Palat, Tyler Johnson and Nikita Kucherov, will need to be re-signed in the next two seasons. 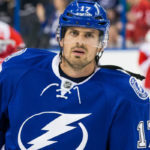 Alex Killorn is another player due to be a restricted free agent next summer. Goaltender Ben Bishop will be a free agent in two years, along with Palat, Johnson and former number three overall pick Jonathan Drouin. The other factor here is that Stamkos hasn’t fully committed to coming back to Tampa Bay. With the emergence of all of these talented young players, especially the Triplets Line, it’s unclear whether Stamkos’ line is even the number one line on the team. Stamkos and the Lightning have gotten off to a solid start this season, and Stamkos scored his 500th point the other day against Boston. 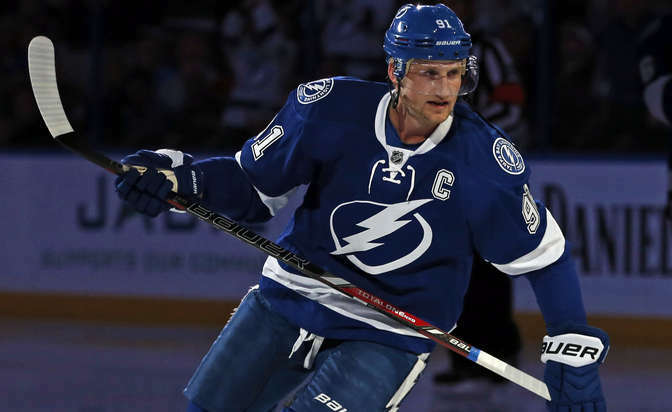 Re-signing Stamkos was supposedly the “number 1 priority” for Lightning general manager Steve Yzerman, so the longer this drags out, the more of a distraction it could become. General manager Steve Yzerman wanted Erik Condra to be part of the Lightning roster, so he went out and signed him to a three-year deal with an average annual value of $1.25 million. 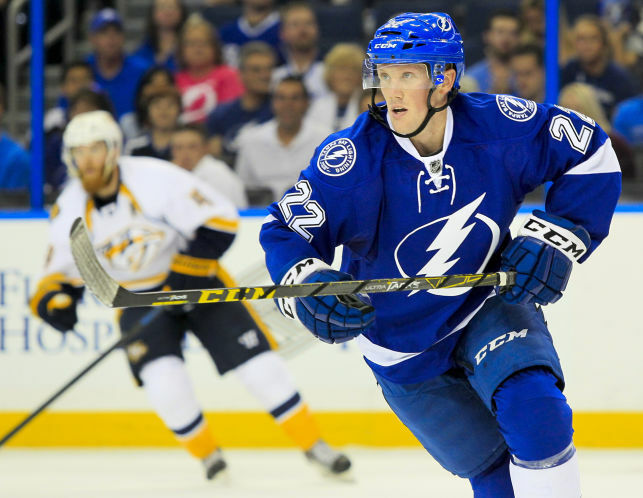 Condra also has a connection with Lightning head coach Jon Cooper. Cooper coached Condra in Texarkana (USHL) in the 2003-2004 season; Condra was even an usher at Cooper’s wedding, according to tampabay.com. Condra has made an immediate impact in the first four games of the season. He has been part of a shut-down third line unit along with Alex Killorn and Valtteri Filppula. However, the line has also produced offensively. In fact, Condra scored his first goal of the season in a 4-1 win over Buffalo on Oct. 10. His physicality and right-hand shot fit in perfectly with the lineup, and his speed allows him to keep up with the rest of the roster, which is one of the fastest rosters in the league. In 303 career games, Condra has 34 goals and 55 assists for a total of 89 points. Formerly a seventh-round draft pick of the Ottawa Senators in the 2006 draft, Condra has two points through four games this season. 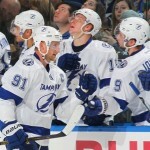 Tampa Bay is already 3-1 yet hasn’t even shaken off all the offseason rust; this team will just get better and better. It would be a shock if Tampa doesn’t finish in the top two in the Atlantic Division and in the top four or five in the Eastern Conference. 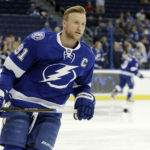 The Stamkos contract will continue to loom over the team, but both sides hope to resolve the matter as soon as possible. The Lightning should be considered an automatic playoff team, it’s just a matter of which players will stay healthy and how dominant the team will be down the stretch.